Watercolour, over traces in black chalk. Signed and dedicated at the bottom left corner: Pagliano all'amico / Barone Vitta; 286 x 235 mm. The dedicatee is certainly Giuseppe Raffaele Vitta, a banker and art collector living in Casale Monferrato. Vitta was part of the Jewish group in Casale who supported Cavour and the Italian Risorgimento. For this reason he received the title of Baron in 1855. 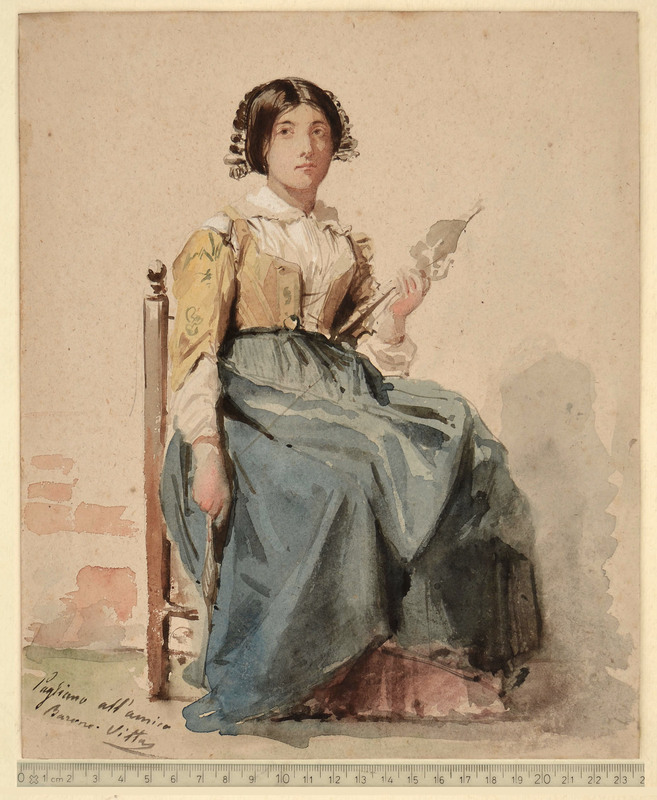 The subject of this watercolour has been treated several times by Pagliano. I mention here an etching and a painting. 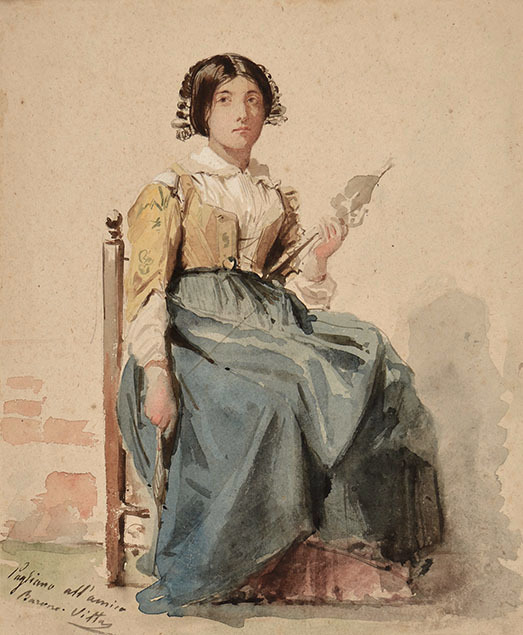 Pagliano celebrated a female domestic activity in the Lombardy of his time: the spinning of wool or hemp.